Thank all gods someone has the guts to stand up and say, "no more!" No more will we tolerate evil. No more more will we tolerate acceptance of evil and the sacrifice of life in its support. No more. Polly want a cracker? Why do so many intellectuals so often see grand principles at stake? It's the same drive that gives conservative moralists such an ugly reputation—even when they do try to live up to the standards they set for others. One thing for sure, Polly does want a cracker. Or, no, maybe Polly just thinks s/he wants a cracker. Or maybe Polly wants something else altogether. One thing for sure, Polly is after something. Because academics spend an additional 4-12 years training away their access to an emotional existence? Polly's agenda will be the subject of an excruciating academic seminar. All text and no pictures? 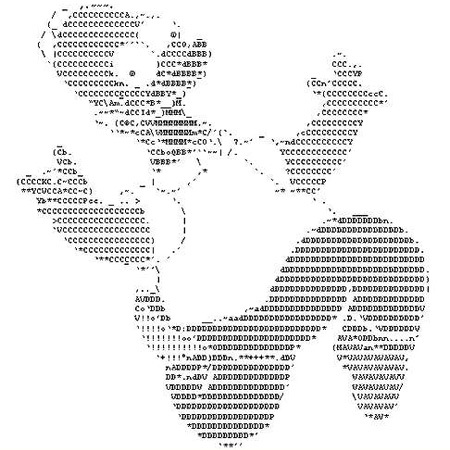 Not even ASCII art? Here is one for anyone still interested in their emotional existence. Polly, dutiful bird, repeats what she hears if she hears it often enough. Is it possible to imagine, however, or perhaps actually hope, that Polly, like many a parrot, will be getting rather fierce in her shabby old age? Polly the Public might like, just for once, to have something of her own mind repeated. If Polly squawks "Get the hell out of the Middle East," she doesn't want to hear some unctuous pundit expatiate: "What Polly really means to say, of course, is that it would no doubt be desirable, in the fairly long run, to phase out tactical operations in the vicinity of the Middle Eastern arena once we have obtained a durable and honorable peace on terms acceptable to our allies and ourselves." If Polly had the ear of such an exegete, she would gladly bite it off; or do the same to any other appendage. This page contains a single entry from the blog posted on Wednesday August 8, 2012 03:03 AM.